Can Cruiserweights dominate at heavyweight? 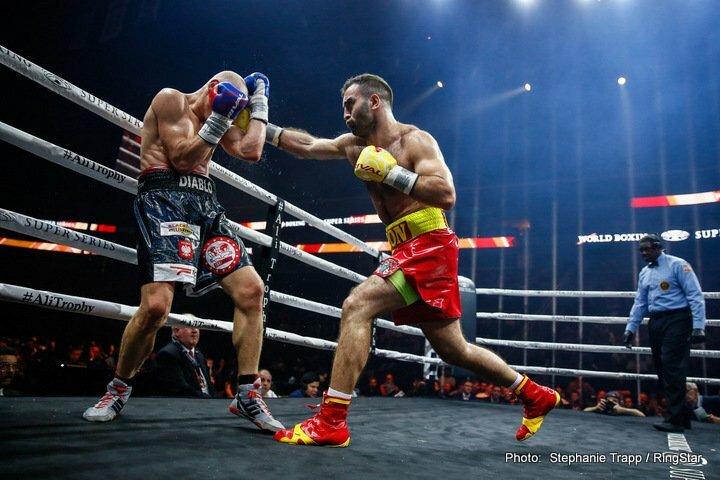 By Gav Duthie: Murat Gassiev has stated in no uncertain terms that he will join the heavyweight division if he wins the WBSS Cruiserweight tournament. WBO champion Oleksandr Usyk made a similar announcement last year that he would eventually move up and it is becoming a more familiar story in recent times. The cruiserweight division is the best it has ever been but do these champions have the ability to dominate the division above, let’s look at the evidence and the future. Cruiserweight used to be a no man’s land for boxers. There was no depth of talent and little money to be made. Most gifted boxers would spend little time there before chasing the riches of the heavyweight division. It was introduced as there was becoming a huge gap between the 175lb fighters at light heavyweight and 220lb heavyweights. Heavyweight champions like Floyd Patterson in the 1950s typically weighed around 190lbs. They needed to close the gap as heavyweights got bigger. The upper weight limit was introduced at 190lbs but near the start of this decade it was increased to 200lbs. This has made the cruisers very close to heavyweights in size and stature at around 6″3 as an average height but without the excessive weight carried around. For decades the only truly successful transition from Cruiserweight-heavyweight was Evander Holyfield in the late 80s/early 90s. David Haye then became a world champion at heavyweight in the late stages, but over the last few years there have been more and more attempted transitions. Current WBA regular champion Manuel Charr won the title impressively against the giant Alexander Ustinov in late 2017 with his quicker feet and hand speed. He also scored a knockdown in the mid rounds. When Charr fought Mairis Briedis, who had those same advantages against him, he was destroyed. Brutally knocked out with an uppercut, hook combination. Juan Carlos Gomez did well in the early part of the century at heavyweight using his movement to outclass the late Samil Sam who was a successful European champion, but his chin let him down against the big punchers in other fights. ‘Fast’ Eddie Chambers realized he wasn’t so fast when he got back down to cruiserweight losing to gatekeeper Thabiso Mchunu and Chris Byrd did the same years before melting down to light heavyweight and being dominated by Shaun George. He said he couldn’t see the punches coming. One of my favorite fights of 2017 was between Dominic Breazeake and Izuagbe Ugonoh 17-1 (14). Breazeale stopped the Polish-Nigerian in round 5, but he had been down earlier and was behind on all cards. Breazeale weighed 263lbs, a career high to Ugonoh’s 230lbs. Ugonoh was clearly more skilled, faster, worked the double jab but Breazeale bullied him. Ugonoh fought his first 9 fights at cruiserweight and will now be wondering what the right course for his career will be. I feel though if the best cruisers can take the power of the heavyweights they can easily become 2x weight world champions. Looking at the ability of guys like Oleksandr Usyk, Yunier Dorticos, Murat Gassiev and Mairis Briedis, they could all have successful heavyweight careers. Although I could see these guys having careers in the top ten the size difference between the top guys will still be too much, I can’t imagine any of these guys could defeat a Wladimir Klitschko, Deontay Wilder or Anthony Joshua. Boxing » News » Can Cruiserweights dominate at heavyweight?